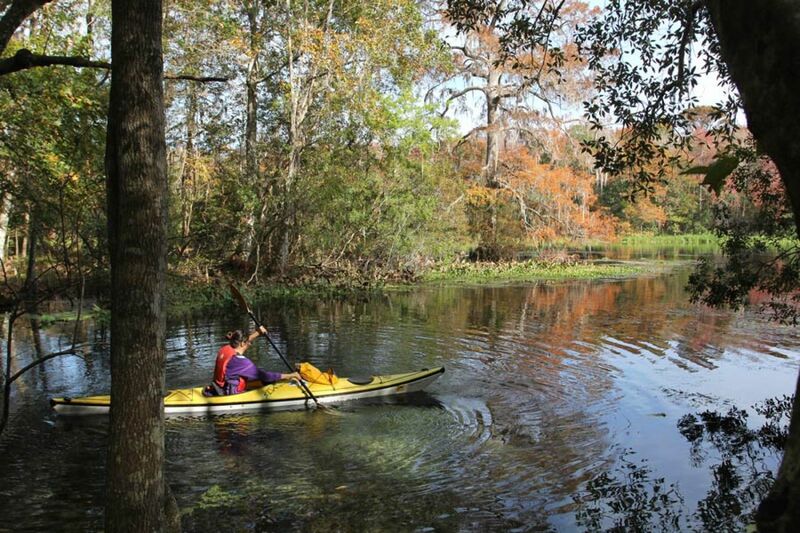 The Wacissa is a state-designated paddling trail and a wonderful place to explore for beginning paddlers or families with children. 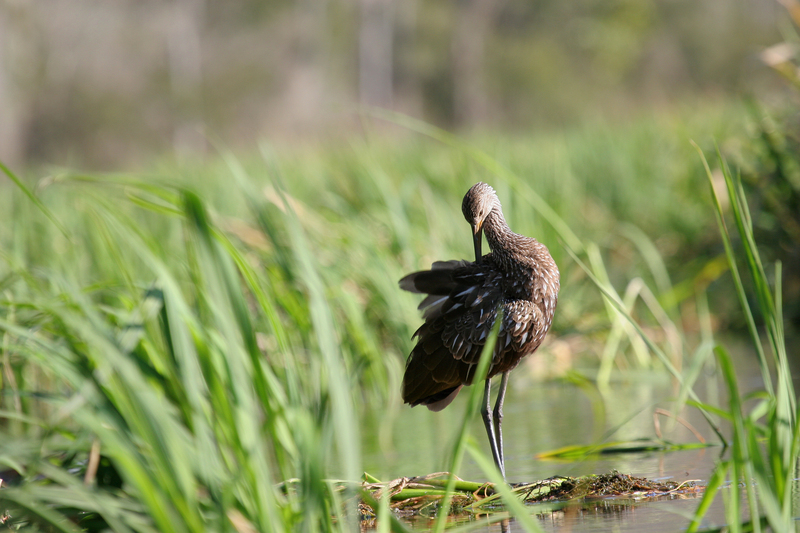 Twelve major springs feed the Wacissa River as it winds its way through 47,622-acres of the Aucilla Wildlife Management Area, attracting boaters, anglers, paddlers, and abundant wildlife to its sparkling waters. 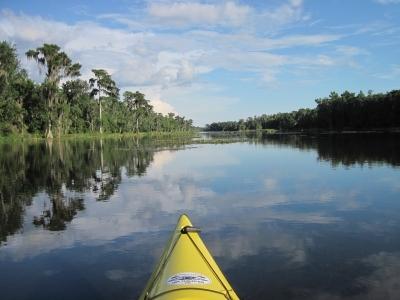 The Wacissa, a tributary of the Aucilla, is one of the most pristine rivers in Florida. 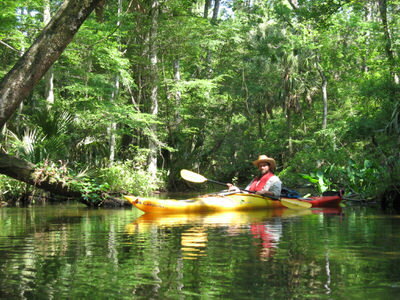 Both of these beautiful rivers are designated State Paddling Trails and are designated “Outstanding Florida Waterways”. 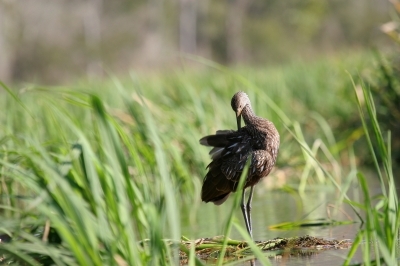 Twelve major springs feed the Wacissa as it winds its way through swampy lowlands in the 47,622-acre Aucilla Wildlife Management Area, located in a sparsely populated slice of Florida's Big Bend region. The river is a magnet for wildlife and a recreation hub for swimmers, snorkelers, boaters and anglers. 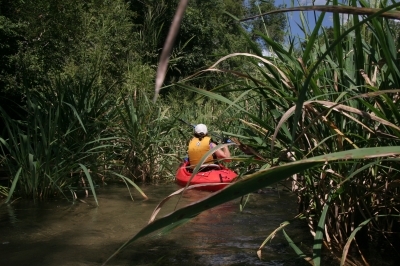 This well-loved river offers rewarding excursions for beginning paddlers or families with children. The headsprings are located at the Wacissa Springs County Park, a busy spot on weekends. The river may be crowded for the first mile or so down to Blue Springs, a favorite swimming hole. To experience the river's solitude and serenity, plan to visit on a weekday or early or late in the day. A public campground and group camp are available at Goose Pasture, about 10 miles downstream from the headsprings, creating an ideal weekend paddling destination. 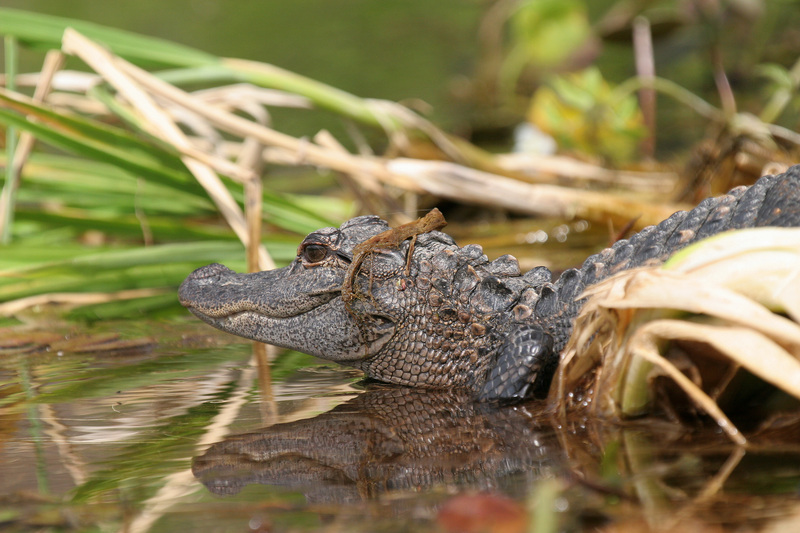 The Wacissa supports an impressive array of wildlife, rewarding quiet observers with the chance to spot alligators, turtles, water snakes, wading birds, and river otters. One of the best ways to view the diversity of species found here is to paddle early in the morning or evening. By using binoculars or your camera's zoom lens, you'll be able to safely observe wildlife without disrupting their natural behaviors. As you glide over the clear water, don't forget to peer below the surface to watch a parade of mullet and freshwater fish cruise by. It's easy to see why this area is part of the Great Florida Birding and Wildlife Trail and a world-class destination for wildlife viewing and nature photography. 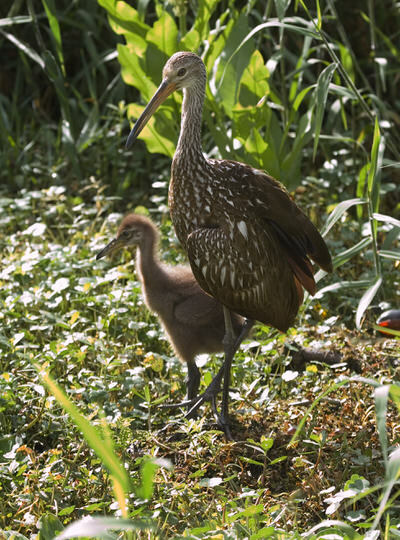 The limpkin, now absent from many of Florida's rivers because of poor water quality and habitat loss, is still abundant on the Wacissa. Apple snails are this wading bird's main food source and clusters of the snail's pink, pearly eggs cling to aquatic plants and tree trunks along the water's edge. In the spring, zephyr lilies and wild irises brighten the landscape. 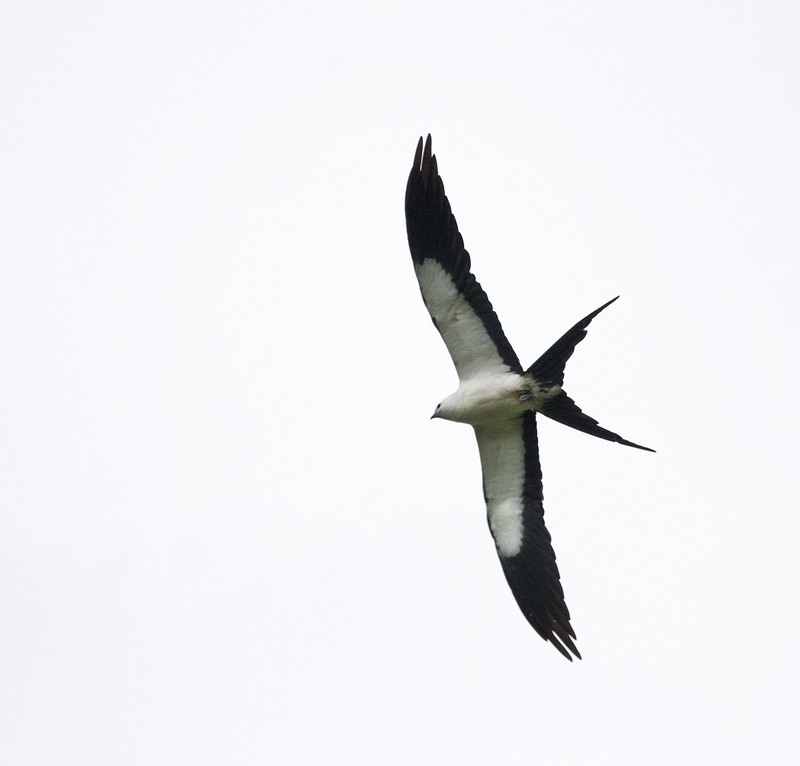 In late summer, scores of swallow-tailed kites gather in the cypress along the river before their migration to South America for the winter. 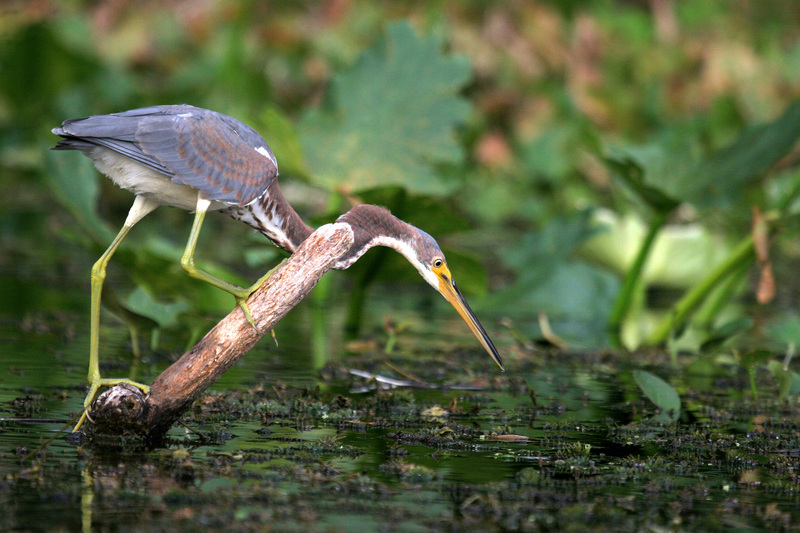 Dozens of wading birds hunt small fishes and frogs at the water's edge. Eagles, wood ducks, coots and mergansers are commonly spotted in the cool months. Alligators are plentiful all year. 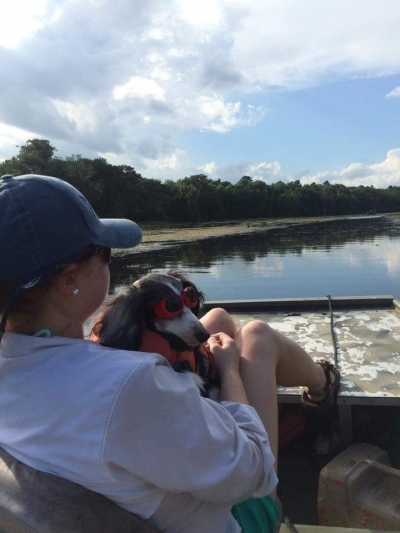 Hunters and anglers are drawn to the beauty and bounty of the Aucilla and Wacissa rivers, continuing a long tradition that dates back almost 12,000 years to a time when the Paleoindians roamed the region, hunting mastodons, saber-toothed tigers and other large mammals. State archeologists have found a treasure trove of prehistoric records in these rivers and along their shores. To honor this long history and preserve it for future study, all artifacts are protected and may not be removed. The historic man-made Slave Canal was dug during antebellum times in an attempt to join the Wacissa and Aucilla Rivers and create a means of moving cotton to the coast. The Canal venture failed but rocks stacked along the banks provide visitors with a solemn testimony to the past. 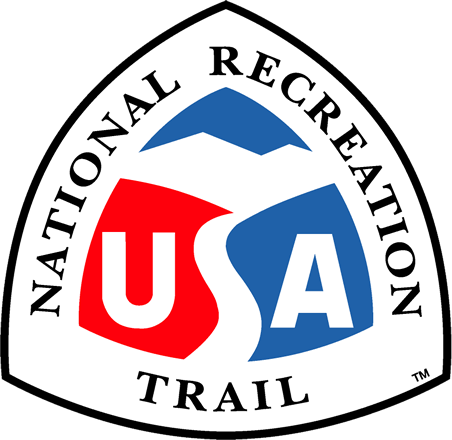 The canal is almost entirely shaded by massive cypress and hardwood trees, so it offers an ideal outing on a hot summer day. About five miles long, the Slave Canal is a short, but challenging paddle. The experience varies with water levels and the number of downed trees. 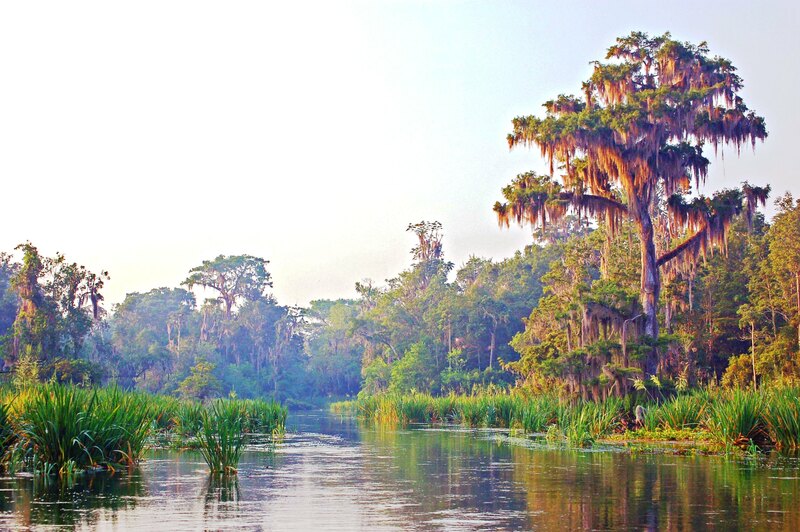 After its passage through the Slave Canal, the clear Wacissa waters merge with the Aucilla's “blackwater.” As it makes its final run to the shallow Gulf waters, the Aucilla gradually broadens and shady swamps give way to palm hammocks, salt marsh and open sky. The lower portion of the Aucilla River is an access point for the Big Bend Saltwater Paddling Trail (BBSPT), designated a National Recreation Trail in 2005. The BBSPT offers an unforgettable 105-mile coastal paddling adventure along the Big Bend coastline for experienced sea kayakers with primitive camping skills and comfortable with rugged conditions. 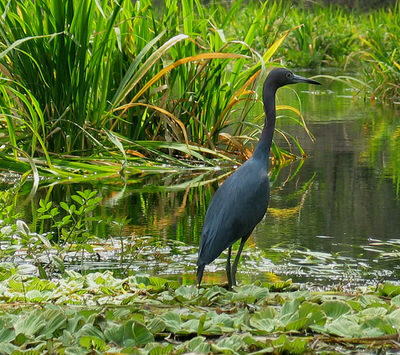 The Florida Fish & Wildlife Conservation Commission partnered with the Suwannee River Water Management District to create a map guide for the ‘Rivers of AWE'; the Aucilla, Wacissa, and Econfina Rivers, which can be ordered on-line through the Wildlife Foundation of Florida. 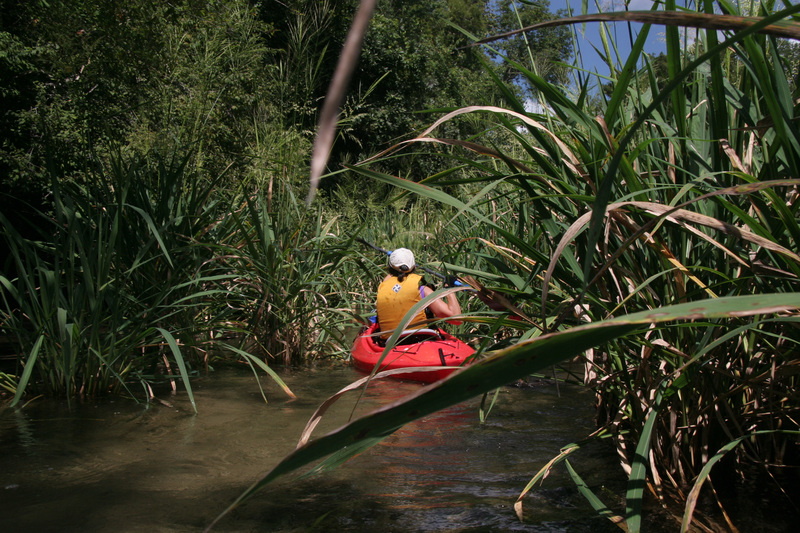 From duck hunters to paddlers, the beautiful Wacissa is passionately supported by a variety of user groups. Boy Scouts have volunteered with FWC and state archeologists to survey pre-historic mound sites while learning about conservation and protection of cultural & historical resources. ‘Friends of the Wacissa' are an advocacy group with diverse membership that promotes protection of the river and surrounding lands. A barred owl along the trail. Photo by Doug Alderson. 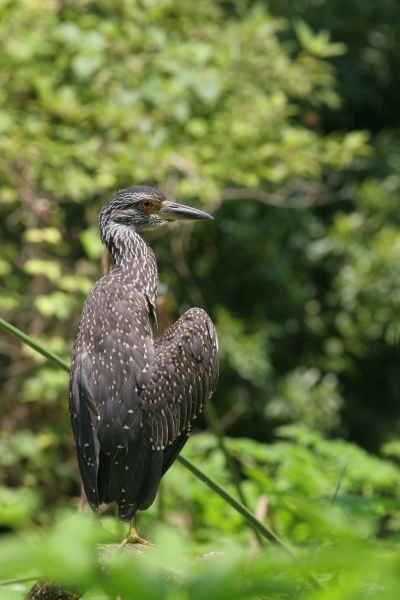 Inmature black crowned night heron on Wacissa River. Photo by Doug Alderson. Preening Limpking along Wacissa River. Photo by Alderson. 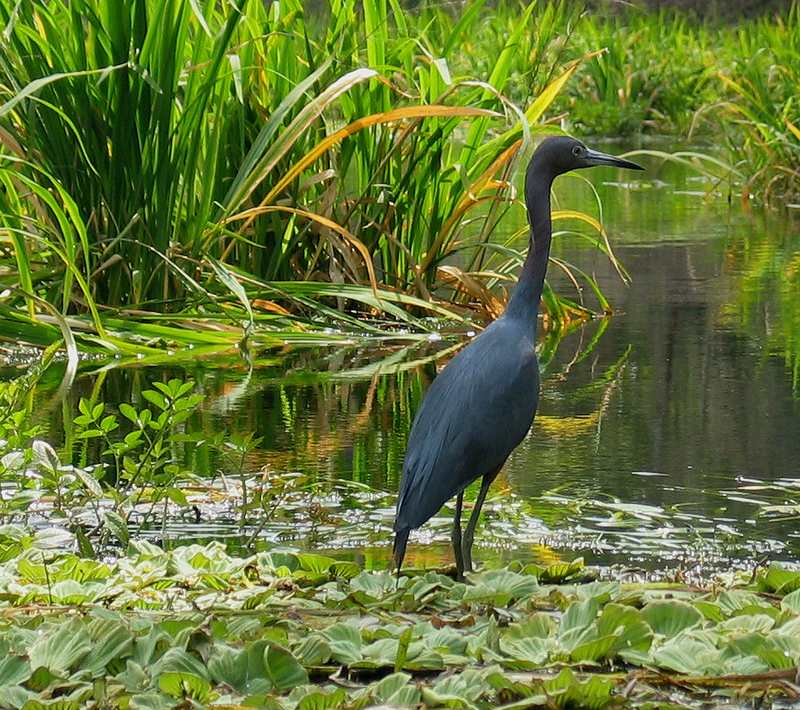 Tri-colored Heron on Wacissa River. Photo by Doug Alderson. Young alligator along the Wacissa River. Photo by Doug Alderson. Kayaker making their way thorugh a wild rice patch. Photo by Doug Alderson. Paddling the Wacissa River. Photo by Doug Alderson. Cardinal Flower. Photo by Doug Alderson. Cypress in fall. Photo by Doug Alderson. Egret catching a fish. Photo by Doug Alderson. Alligator on Wacissa River. Photo by Doug Alderson. Grallinule in wild rice. Photo by Doug Alderson. Pup enjoying an afternoon boat ride. Photo by Britney Moore.